In a large pan (8-10 inches) heat the olive oil. Add the shallot and cook for 2-3 minutes on medium heat. Pour in the Holland House® White Cooking Wine and stir over a medium heat until all of the liquid has evaporated. Once the stock has been absorbed, add another ladle until you have almost none left and the rice has turned to a creamy consistency. This should take about 25 minutes. 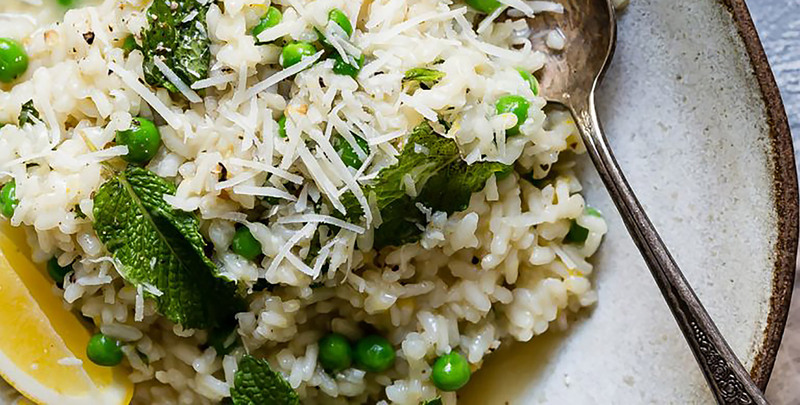 Place some of the risotto into a bowl and garnish generously with grated parmesan cheese.